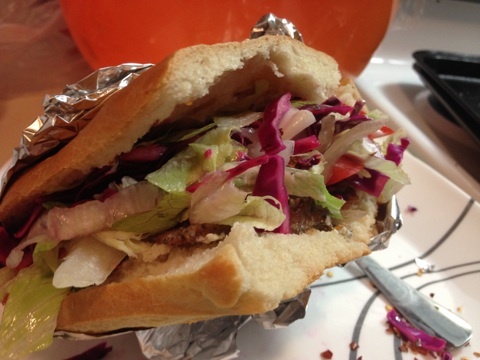 Homemade Döner Kebab | This is important. Earlier this summer I vacationed in Germany and Switzerland. This was my third time in Germany, and my absolute favorite thing to eat there is Döner Kebab — a Turkish-German fast food that is flat bread, shaved lamb/turkey/chicken from a vertical spit, lettuce, tomato, onion, sometimes red or white cabbage, and a white sauce, and sometimes with a spicy red sauce or just red pepper flakes on top. It. Is. Delicious. And you can pretend it’s healthy, since there are vegetables in it and the meat is cooking vertically, so much of the fat roasts out. I set out today to make my own version. I had to collect recipes from all over the place, so none of these recipes are mine (but I have linked to their sources). Combine yeast, sugar and 2 T of the water in a small bowl, and stir until yeast dissolves. Set aside in a warm place for 10 minutes or until frothy. In a large bowl, sift flour and salt together. If you don’t have a flour sifter, you can just whisk them together. Make a well in the center of the flour and salt, and add the rest of the water, the oil, the yogurt, and the yeast mixture that you set aside. Stir together with a wooden spoon until combined, then use your hands to bring the dough together in the bowl. 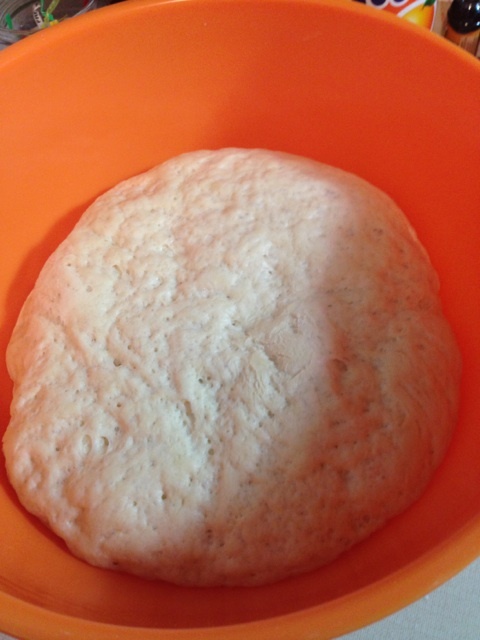 Put the dough on a lightly floured surface and knead it for 10 minutes or until smooth and elastic. Lightly grease the inside of a large bowl with oil, then place the dough in the bowl and turn it to coat it with oil. 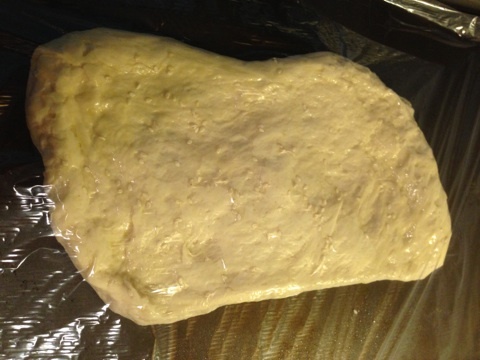 Cover with a towel or plastic wrap, and set aside in a warm place for 2 hours (or until dough has doubled in size). Punch down the centre of the dough with your fist. Turn onto a lightly floured surface and knead for 2-3 minutes or until dough has returned to its original size. Divide the dough into 2 equal portions, and shape each portion into 7 inch by 12 inch rectangle. Place on 2 non-stick baking trays (or 2 cookie sheets that have been sprayed with cooking spray) and press with fingers to indent surface. Brush with egg and sprinkle with sesame seeds. Loosely cover the dough with plastic wrap and place in a warm place to rest for 20 minutes or until dough has risen half an inch or an inch. Bake in preheated oven for 20 minutes or until the bread is golden brown and sounds hollow when tapped on the base. I baked it for 7 minutes, then swapped the cookie sheets on the racks, then cooked it for another 7 minutes. I then lowered the oven temperature down to 350° to prep for the meat, and put the bread back in for 3-5 minutes. My fully baked loaves! 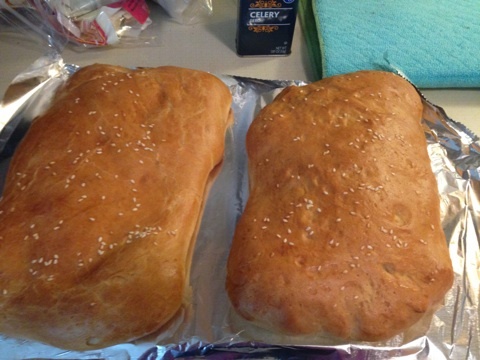 This was also my first time baking bread from scratch and it was super easy. So, there’s your bread! You have a nice 2 hour break in the middle of that preparation that is perfect to get the vegetables and the meat ready. Shred the lettuce. 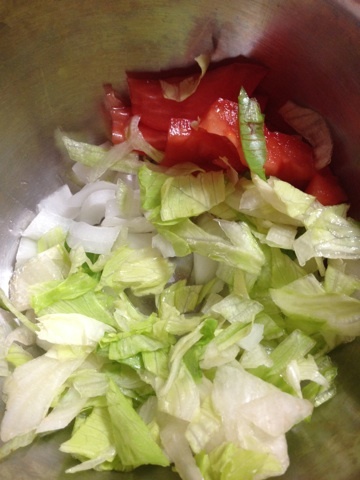 I got a head of iceberg lettuce and chopped it myself, but they also sell it pre-chopped. Slice the tomatoes. I also de-seeded them because tomato seeds are gross. Slice the onions. I try to slice them as small as possible because they can taste quite bitter. Prepare the red cabbage! I prefer red cabbage to white, but it isn’t served completely raw. Shred the cabbage as finely as you can. I tried to also remove as much of the white rib as I could. Wash it until the water runs clear. I suggest being sure to do this step, as I hardly made an effort and my cabbage was still pretty bitter. Add salt and pepper to taste, and then equal parts fresh lemon juice and olive oil. I used 1 T of each with about 1/3 of the head of cabbage (saving the rest for another dish). You can also prep the vegetables beforehand. I shredded the cabbage and lettuce the day before to save time. Next, prepare the meat. I bought 1 lb of ground lamb at the store, but will probably mix it with turkey next time — the smell and taste of the lamb was very overpowering. The same forum thread with the bread recipe also had a meat recipe, so I used that. Mix together all spices, then add to meat. I kneaded it like meatloaf, ensuring that all the spices were evenly distributed throughout. If you have a mixer, the recipe recommends that you “put all ingredients into a mixer with a dough hook and mix for 30 minutes.” The key is to get as much air as possible out of the meat. Then, make a tightly packed loaf and put it in a greased loaf pan. If you have an insert that allows it to sit above base (so it doesn’t sit in its own grease), use it. 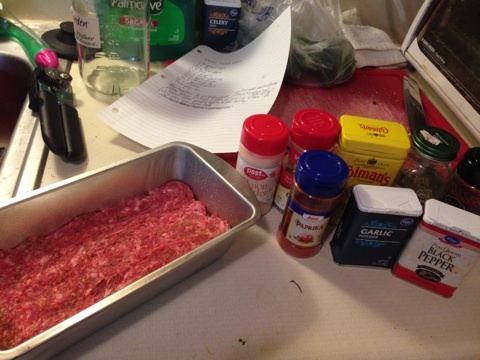 After mixing the lamb and spices, put the meat in a loaf pan. Bake the meat at 350°F for 45 minutes to an hour, and turn it over halfway through to ensure even browning. When the meat is done cooking, take it out and raise the oven temperature to 400°F. Then, slice the meat as thinly as possible. Since mine roasted in its own grease, I put the slices down on a broiler pan and cooked the meat an extra 5 minutes to try to get more of a crust on it and roast out some of the grease. A higher temperature and a longer time would have probably helped here, but I was getting impatient! Ready to broil the lamb! So, there is meat, there is bread, there are vegetables, now you just need sauce! My sauce did not work out the way I wanted it to. 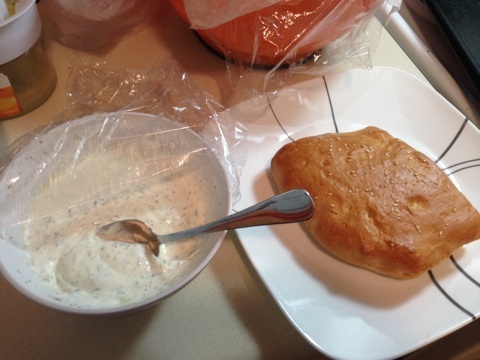 I made a tzatziki-like sauce, following this recipe and using half sour cream and half yogurt (I used Kroger brand plain greek yogurt). It was terrible, because it was far too sweet. I remade it with less dill and only sour cream, so I’ll be trying that next. Mixing the tzatziki sauce! Clearly I went overboard with the dill. There were also recipes for yogurt garlic sauces, which was the same except without the dill, pepper, olive oil, and using yogurt instead of sour cream. I wouldn’t recommend doing this in the U.S. unless you’ve made your own yogurt or can find sour enough yogurt, because American yogurt is so sweet. I also liked that sour cream has a much lower sugar (aka lactose) content. Bread sliced, toasted, and all ingredients standing by ready to fill. So it was a success, sauce aside. I’ll be trying various sauce combinations over the next few days as I finish up my leftovers! Oh my goodness, this looks incredible! Did you ever find a sauce that worked better? We lived in Germany for a few years and doner is one of the things we miss most and have not been able to find where we live! Looking forward to trying your recipes! I’ll have to try that!! Mission 1, find traditional greek yogurt, and mission 2, cucumber! Thanks for passing the word along! I thought in Germany it was Gyros? Not Donner? well it was not when i was there in 1990? I was in Germany in 2000 and 2010. Both times the locals referred to it as “dönner.” This was in the Frankfurt region, so the name difference may be regional. For what it’s worth, “gyro” tends to be made by the Greeks, “dönner” by the Turkish. I’ve found that adding sriracha, salt and garlic to taste in sour cream makes a pretty descent substitute sauce. Say, two cloves to 3 dl sour cream, and maybe half a teaspoon sriracha if you don’t want it to be too spicy. Just remember that the garlic flavour takes a little time to develop when added to a cold sauce, so you should make it at least half an hour before you want to use it. 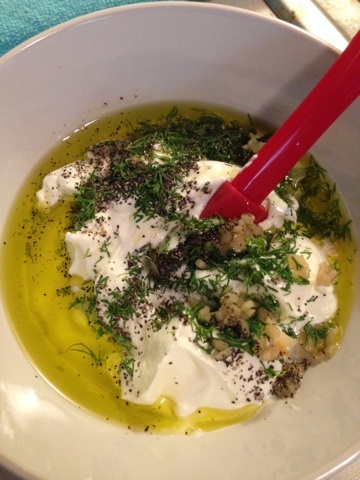 When it comes to the yoghurt, if you’re making tzatsiki, you need to get greek yoghurt, not regular yoghurt. Bread recipe does not work. Ratios are way off. I’m sorry to hear the bread didn’t work out for you. It isn’t my recipe, and it worked great for me, so maybe it’s worth giving it another shot or clicking through to the original recipe to see what others had to say about it. Adding some cucumber could do the trick, or adding in some red pepper flakes or garlic powder could never hurt! I’ve found the vegetable mix varies depending on the shop or the area of the country. I don’t think I’ve ever seen sauerkraut on a Döner Kebab! We live on the border with Germany and therefore we eat these quite often. I have made them myself but I definitely miss the cabbage they use in the shop. I don’t think it’s ‘sauerkraut’, but more a pickled cabbage, ‘eingelegter kohl’, does anyone know where to buy this, is the pickled cabbage only available at turkish shops? The pickled cabbage also tends to be added to bread rolls, paninis etc in bakeries and shops in Germany and i find it just adds that extra flavour to the meal. Probably cucumber, possibly grated carrot, also maybe lemon juice. With regards to sauce . . . Put everything into a bowl except the chilli powder. Add chilli powder bit by bit and stir in mixing well, until the desired heat level is obtained. Add a little more water until the sauce reaches the desired consistency. In a bowl or serving dish mix thoroughly all the ingredients except the water. Add the water and again mix thoroughly. Made the bread recently and again today it turned out great last time though word of advise: make sure you cover it VERY LOOSELY with cling film as the egg mixture with the raw dough can be rather sticky. As the white sauce goes i stick with traditional Tzaziki which is sour cream + youghurt, some olive oil, plenty of garlic, finely grated cucumber and salt n pepper to taste. Im still trying things out but i dont like the mince meat variety as it reminds me too mich of UK doenner which is pakistani really and too much lamb. I had good results woth a mixture of coriander, italian seasoning (oregano, basil, thyme), cayenne pepper, lots of salt, lemon juice, garlic, onion, and oliveoil all blended for about 2min and mixed into a blend of 1:1:1 chicken breast, top sirloin or flank steak and veal all very thinly sliced. Its too tangy for it and lacks the sweetness red cabage and coleslaw bring. Cucumber, onion, slaw and red cabage with a mix of oliveoil, lemon juice, honey and salt&peper should come quite close. Throw in some tomatoes if you like. That was addressed to Bret about the ‘something missing’ btw, just to clarify. Here in Dundee, Scotland we have a thriving Turkish community. Izeki Agakan restaurant in Perth Road do the best Donner in Scotland. It’s not the usual generic stuff but butcher made. True Turkish donner has quite a high content of onion, not chopped or grated by the way but juiced. The juice is then rendered down to a syrup consistency and added to the ground, seasoned meat. The ground meat is held together on a vertical rotating skewer with layers of thin sliced lamb meat and silverskin. This is the transparent membrane covering the muscle. The whole thing is kept frozen so it can be cooked on the outside while remaining frozen on the inside. At the end of the shift it goes back into the freezer if there is enough left. Questionable I know but personally I’ve never had a sore tummy or any issues in the 30 years I’ve been eating them. The white sauce, or garlic sauce is made with equal parts mayo, single cream and yoghurt. Then add garlic and finely chopped parsley to taste. Goban salad is cubed white and red onion, tomato, capsicum, and cucumber with olive oil, salt, pepper, lemon juice and parsley. I lived I Turkey for 10 years, from 64-71 then again from 78-80. Turkish food made such an impact on me that I Bacame a chef. I just moved to SLC Utah and will be buying a food truck and selling Authentic Turkish Doner. The facts mentioned here about spices and fillers like onion juice is the authentic way to make doner. 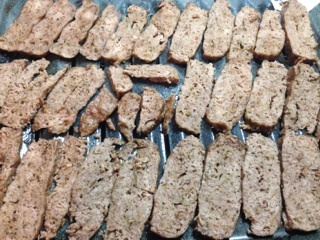 When making Lamb doner sometimes fatty pieces of. Beef and lean lamb are ground and put inbetween the layers to keep the doner moist. At the top of the skewer they usually put a ball of lamb fat that is taken from the backside of the Lamb around the tail section. When cooking this melts and runs down the sides of the Doner making the meat crispy on one side. The top usually has a tomato or something like that on top for looks I guess . My truck will be on the road by summer it’s called the Whirling Dervish Kebabary, I will be featuring a Doner made from live Maine lobster tail, served on a flat bread over crisp cabbage and a garlic yogurt aoili over the top this is a traditional sauce called çaçik in Turkey. I will also be selling lamb and beef doner as well. Hope to see you there. Nice wish I was in Scotland, land of my ancestors, I would be eating there almost everyday! Just because you can eat Doner Kebab in Germany does not make it any more Turkish/German, than the fact that you can eat it in Britain makes it Turkish/British. It’s Turkish brought to many countries by immigrants and it’s also a firm favourite in Britain, where we, like Germany, have had kebabs for many, many years. Thank you for letting me know that it isn’t only in Germany. I’d only ever encountered it in Germany. Glad to know it is elsewhere too. How many people could be served with this recipe? Probably about 4 – it depends on how much meat you make, and the bread recipe made 2 pitas if I recall correctly. Can you please confirm the ingredients once again ? And flour and water is 3 and 1 standard baking cup size? The ingredients are whatever they are in the recipe I found — It’s not my recipe so I’m not positive of the measurements. I didn’t make any changes to the linked recipe though, so it should work! You said Kroger; their creamy cucumber salad dressing, mixed with your favorite hot-sauce, my wife says is as close as she’s gotten to what she tasted in Germany. is the seasoning for the meat teaspoon or tablespoon? i thought it was teaspoon because tablespoon seemed too much but the last seasoning, you had tsp which makes me think that the rest is tablespoon. i’m making it right now for my son who had it in europe and really liked it. any quick response would be greatly appreciated. Hi Terri — sorry I didn’t see this until now! It is teaspoon all the way through, sorry for the confusion! I just edited the recipe so that all the teaspoon measurements are identically described. Good luck! The United States is so behind when it comes to Doner Kebab! In Salt Lake they eat Gyros which I find not even close to the doner I grew up with, but its something similar. Sarah, you have to find plain yogurt, actual plain yogurt. It isn’t sweet. I cringe to think you may have made a sauce with sweetened, possibly also with vanilla, yogurt. And of course, we have Greek yogurt here in the US too. Yes, I found plain greek yogurt but it wasn’t sour enough. It definitely wasn’t vanilla yogurt, and it definitely wasn’t Yoplait or something similar. That’s part of why I halved it with sour cream, but I think it might’ve been better had I just made my own. Gyros is a Greek kebab usually there are also chips in the pitta bread as well. Donor is a Turkish kebab that is sold in bread similar to tortillas in turkey but is served in pitta bread outside. Also although in Britain we usually use lamb, in Turkey it is normally either beef or chicken. The guy that is largely accredited with the invention of the kebab died about 3 years ago. The kebab is served with different sauces depending on where you go. Tzaziki is a Greek sauce and is usually served with a gyros in the UK we serve it with garlic mayo or chilli sauce or a mixture of both. I used to live in germant, so I was dying to make this. The entire recipe works beautifully but there is too much salt in the meat and sauce. Next time I will cut the amounts in half. I made this and it was amazing. thank you for sharing. I am definitely saving! Zikri, I remember the dough being fairly sticky at first but I think that’s expected based on the type of dough that it is. It got less sticky after resting.